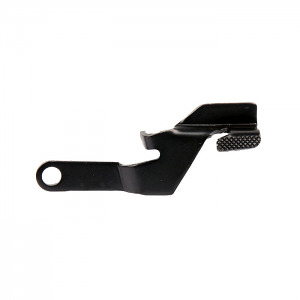 Sig Sauer factory Slide Catch Lever for P224 DA/SA, DAK, P229CA, and DA/SA P226/P229 Legion models. Ok, I’ll admit it. I have gorilla hands. Xl glove are often still tight. The problem is that my thumbs ride the slide release lever - mostly preventing slide lock. I just installed the p224 slide release lever on my P226 and P229 and it’s great! The lever is smaller and tighter to the frame so now my huge thumb doesn’t interfere with it doing it’s job when the mag runs dry. It’s small, but not too small. I can still easily push it up for a manual slide lock. Top Gun Supply was excellent and shipping was very fast! If you're looking for a low profile slide lock to replace the larger than stock one for the p229 this is the component you are looking for. Sig part. Fit is perfect. Quick shipping.